Moscow is full of sites you'd expect to see, and adventures you didn't know you could have in this Russian City. Moscow has no shortage of things to do. 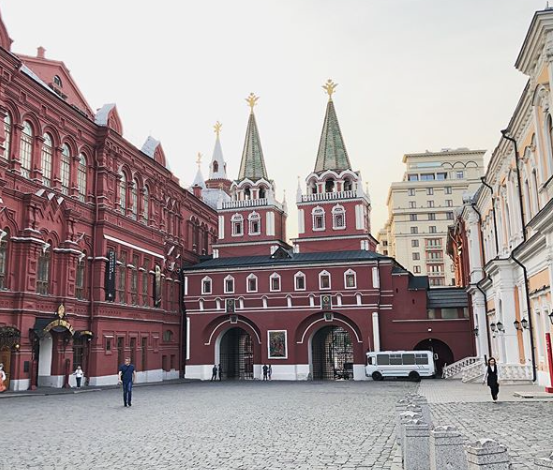 After you get your fill of the typical adventures (like visiting Red Square) you'll need to check out the stranger side of the city. 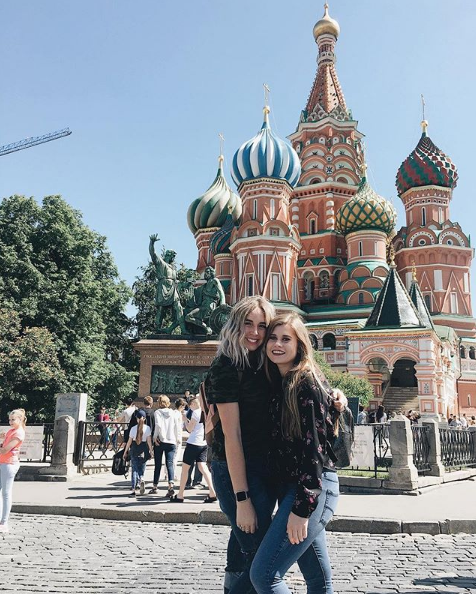 We've pulled together our best tips for exploring Moscow, highlighted the top sites you can't miss, and added info you'll want to know, like places to eat and places to stay. While tourists who are just visiting might not get the chance to experience these things, if you call this city home for a semester, you'll have plenty of time. Here are a handful of "off the beaten track" adventures to have in Moscow. What Should I Do In Moscow? Head to to the Ukraina Hotel a.k.a the tallest hotel in Russia, and you can find a "Mini Moscow". This model is of the entire city and is seriously the cutest, most detailed thing ever. Listen closely and you can hear the clock striking on the Spasskaya Tower of the Moscow Kremlin and the bells ringing at the Cathedral of Christ. Its pretty neat to get a bird's eye view of the city and see how amazing the layout it from above. See people from the history books of Russia in person at the Novodevichy Cemetery. This became a popular and prestigious place to be buried, second only to internment in the walls of the Kremlin(!). The graveyard gained more attention when Stalin ordered several necropolis and graves were to be destroyed, and has now become one of Moscow's most popular (albeit eerie) tourist destinations, but there are undiscovered corners of the cemetery worth exploring. Come see the impressive resting place of historic cosmonauts like Pavel Belyayev, Joseph Stalin's wife, former president Boris Yeltsin, the famous author Nikolai Gogol, and several tombs of Russian musicians, poets, actors, leaders, scientists, authors, musicians, and playwrights. Free Admission, but there's a 250 Ruble excursion charge for foreigners. Insider tip: These place can become inundated with tour buses so visiting right when it opens or right before closing on weekends is probably your less-busy times to visit. This is one of the coolest gems in Moscow. 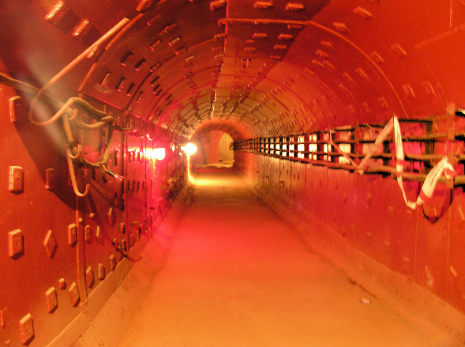 These underground secret tunnels lead you to an underground hideout made for Stalin and other government officials to escape to if needed. Up to 30,000 people could live and work there for 90 days without assistance from the outside world. You can take a tour of this eerie place and learn more about Moscow's history in person. Get ready to release your inner child! This museum is full of old Soviet Era arcade games, some of which you can actually play. Try your hand at the Morskoi Boi (which is kind of like Battleship) or Soviet table football. Originally the Russian revolutionary Vladimir Lenin was going to be buried underground at his passing, but the government received over 10,000 telegrams from people asking that his body be preserved for future generations to see. 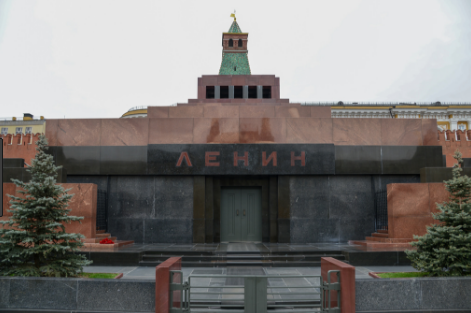 Against Lenin's wishes, the government listened and now you can visit Lenin's Mausoleum and you can see his preserved body. Head's up: lines can get extremely long, so arrive early or dress for the weather if you need to wait in line for a bit. One of the most delicious things you'll taste in Russia! At this cafe, if you order a "hot chocolate" you'll get something a little different than expected. Your waiter will bring you a cup of delicious, rich, literal melted chocolate. And, it's amazing. You can find it in a lot of cafes but a favorite of ours is Cafe Pushkin. 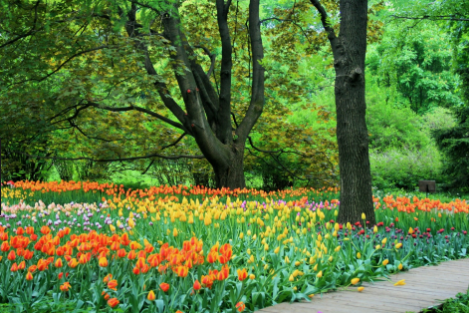 Any time of the year is a beautiful time to visit the gardens, though you'll get a winter wonderland if you're not visiting in August (as you might guess) when the garden is in full bloom, you'll enjoy a Japanese Garden, oak tree grove, flower gardens, fountains, and more. A museum this size is going to keep you very busy. With about 700,000 pieces you have a lot of ground to cover! The museum has a lot of events if you'd like to go and learn more about art in Russia and the history of the museum itself. This is an awesome place to buy cheap souvenirs. 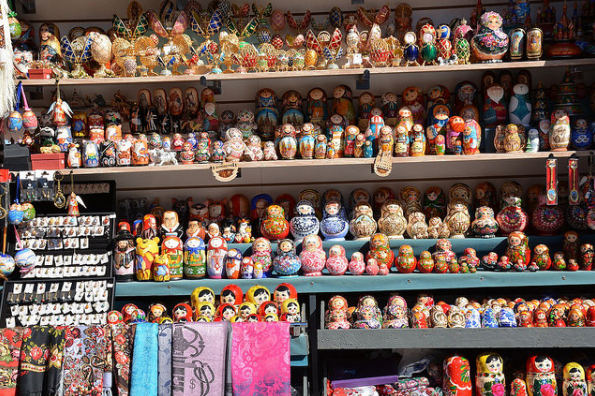 You can find most things you want here like nesting dolls, lacquer boxes, tea towels, pins, antiques, artwork, rugs, and more, plus a few more antiques if you have the eye for them. Bargain and you can get great deals, especially if you brush up on your basic Russian. Check this link out for hours the market is open and other details. We also have more in-depth details on how to get there. Address: Izmailovskoye schosse 73zh - Get off at the Partizanskaya metro stop and just follow the groups of people you see. You probably don't think of going to the beach while you are in Russia but you can if you'd like. It's not the sandy beaches you may be used to, but there are several places to go relax and swim at in Moscow. Check out this list for perfect places to cool down and hangout with locals. The zoo was started in the 1860's by two professors but was then transferred to the city in the 1920's, creating a uniquely old kind of zoo. The entrance to the zoo itself is hard to miss and is built to like an old, stone, fairytale castle with waterfalls and towers. You can't miss it when walking by! Now over 100 years later you can find over 3,000 animals and 40+ acres to walk through. How To Get There: The entrance to the zoo is right across the street from the Barrikadnaya metro stop. Just get to that stop, and head up to the main road. 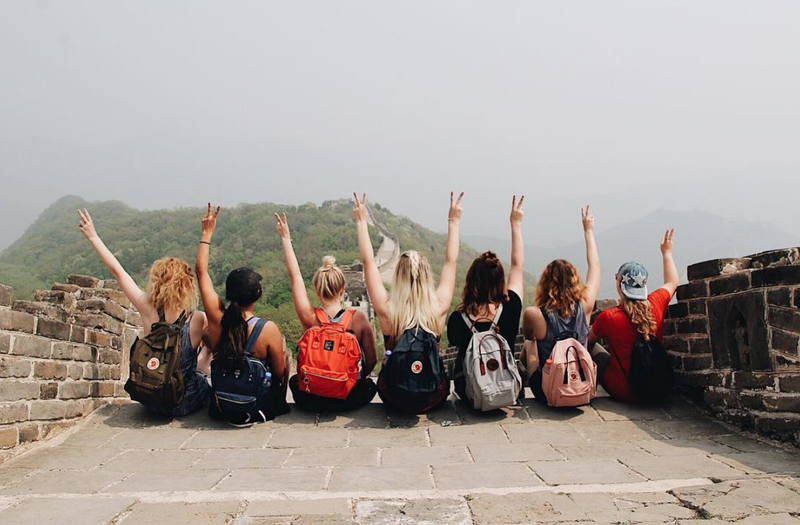 Looking for a way to make a difference and volunteer abroad? We have a guide all about volunteering in Russia that you might be interested in, full of info about what a typical day looks like, how teaching works, and information about weekends off and vacation days.